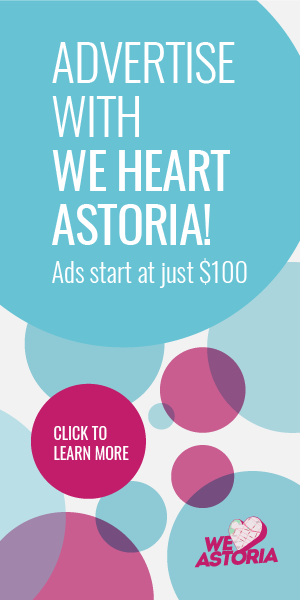 It’s with great pleasure that we introduce a new series of articles (and maps) we’ll be rolling out around Astoria locales we heart. 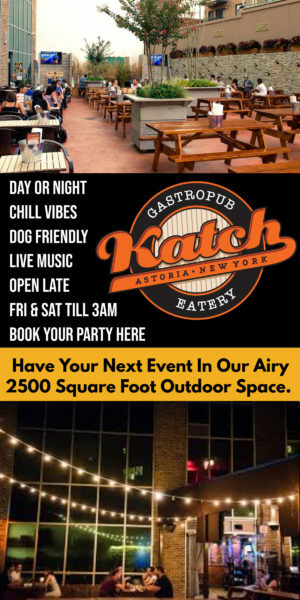 Whether its Ditmars, 30th Avenue, Broadway or beyond, these major arteries are the heartbeat of our neighborhood and house some of the most interesting restaurants, shops and local businesses that make Astoria so special. 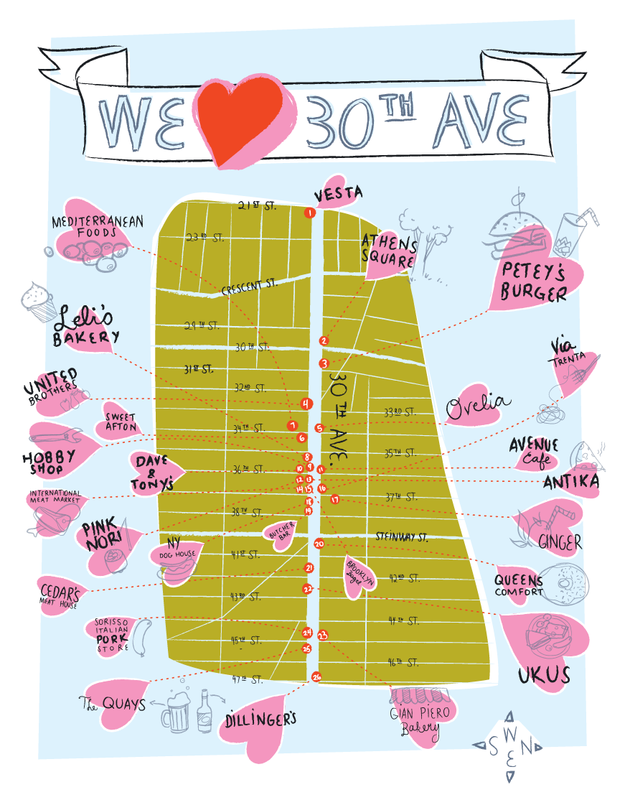 In our first “Heart of” post, we bring you this playful yet informative map of some of our favorite places on 30th Avenue, as illustrated by the talented Kristen Long. Ayana Davis Bargain Stop! Everything you need to decorate your apartment on a budget. Christine Shaffer Elliniki Agora, that’s the Greek Fruit market. It is still there, right? Amy Litt Soriso’s Italian Pork Store. The best eggplant parm and fresh pasta anywhere. Ashley Zayas The best place to live ever!!! Richard Goldsmith We still have wonderful mom and pop shops. Chime in with more comments and let us know what you heart about 30th Avenue. Incomplete map….What about the vegetarian places like Jujube Tree?. Remember too much meat intake equal cancer ! I echo Athens Grill’s killer mexican and EuroMarket on 31st Street just south of 30th ave.
Blackbird’s- my favorite local bar. Outstanding pub food!! You forgot Astoria Coffee! 30th and 30th! Love this, especially the foodspiration! I <3 my street! Peteys burger for quick no nonsense decadent burger fix!